Heavy fog and dark grey skies loomed over the Big Apple on the final day of New York Fashion Week, as I made my way to Pier 17 in the Seaport District of downtown Manhattan, where Michael Kors was to present his Spring/Summer ’19 collection. Inside the mammoth glass-panelled building, the energy was a stark contrast, as A-list attendees—Nicole Kidman, Catherine Zeta-Jones, Rose Byrne, and Shay Mitchell, just to name a few—roamed about. Further amplified with colourful art installations by Brooklyn-based artist Christina Zimpel, the cheerful collection was filled with summery clothes that befitted a chic island getaway. With escapism as an overarching theme of the collection, Kors wanted to ignite a burning desire for wanderlust. “I travel a lot, for work and pleasure. For this collection, I’ve taken inspirations from different places I’ve visited from all around the world,” Kors explained at the pre-show interview. 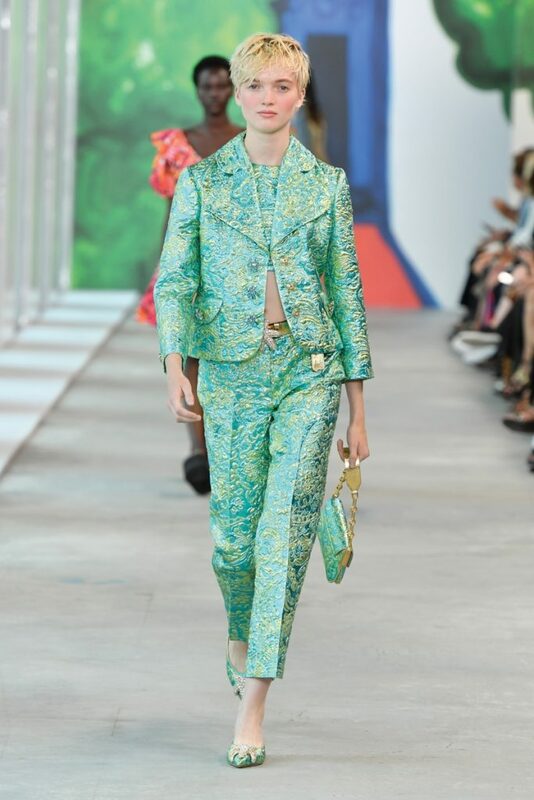 “I wanted the collection to have a feel of a global getaway.” The 59-year-old designer went from sand to soirée with a wonderful mashup of punchy clashing florals, textured hand-crochet separates, romantic broderie anglaise, and extravagant metallic brocades—all done up in shades of watermelon, turquoise, lemon, persimmon, and lime. There were also Bob Marley-esque knitted jumpers and beanies. As for eveningwear, supermodel Gigi Hadid stole the spotlight in a swimwear-dress hybrid covered in sparkling black sequins. “There’s a joy to this collection, as well as to getting dressed this season,” said Kors. 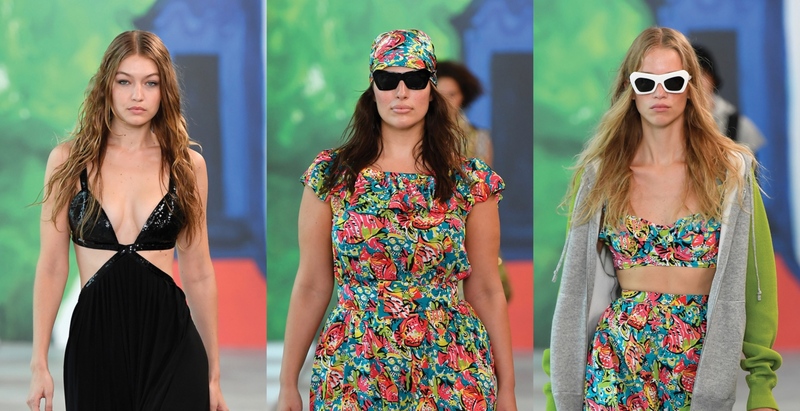 Apart from the vibrant and eclectic collection that offered something for everyone, Kors also presented his most diverse cast to date, featuring models of various ethnicities, ages, and body types, which included curvy beauty Ashley Graham, as well as seasoned veterans Joan Smalls and Sasha Pivovarova. “For me, it’s so incredibly boring to turn [the models] into mannequins,” Kors mused. “It’s so much more interesting if we have different ages, ethnicities, body types, and heights.” From floppy hats and printed head scarves to sportif espadrilles and raffia woven bags, Kors scored major brownie points in the accessories department. Elsewhere, heavy-duty fringes appeared on jackets, shoulder bags, and skirts, which signalled a throwback ’70s trend take that is expected to infiltrate the street-style scene as the temperatures set to rise this summer. Check out BAZAAR’s picks from the joyous beach-ready collection below.